There's a good reason winter has always been travel writer Carol Pucci's favorite time to visit Mount Rainier. 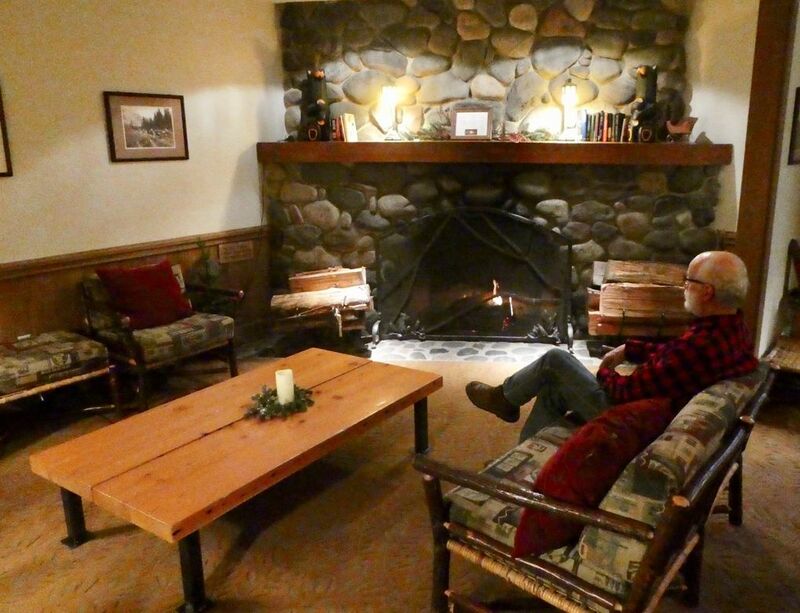 When the summer crowds thin, it becomes a quiet, cozy destination for cross-country skiing, snowshoeing, winter hikes, and relaxing by the fire. Logs crackled in the stone fireplace at Mount Rainier’s National Park Inn, with tea and scones on a side table. Unlike the first travelers to visit here in the early 1900s, we hadn’t come to soak in the hot springs, ride a dog sled or hike the glaciers in tin pants. Trying out new snowshoes was our mission, but with rain at Longmire, the historic district where the inn first opened in 1906, and a storm keeping the road to Paradise — elevation 5,400 feet, one of the snowiest places on Earth — closed for the day, sitting by the fire reading seemed like a fine Plan B. Perhaps because it was January when my husband and I first visited Mount Rainier years ago, winter has always been our favorite time. It’s the time of year when campgrounds and roads crowded with tourists and cars in summer transform into quiet spaces for cross-country skiing, snowshoeing and winter hikes. And after many visits in winter, I know by now that weather conditions can change literally overnight, as they did for us on this trip in mid-December. Snow blanketed the trees when we awoke the next morning. Waiting for the clouds to lift, we breakfasted on kale and squash omelets in the dining room, then took our coffee to the wicker chairs on the front porch as the mountain popped into view. More than a foot of fresh powder awaited 10 miles away at Paradise when rangers opened the road at 11 a.m.
No matter the time of year, I consider the drive to Mount Rainier half the reason for making the trip (two hours from Seattle). 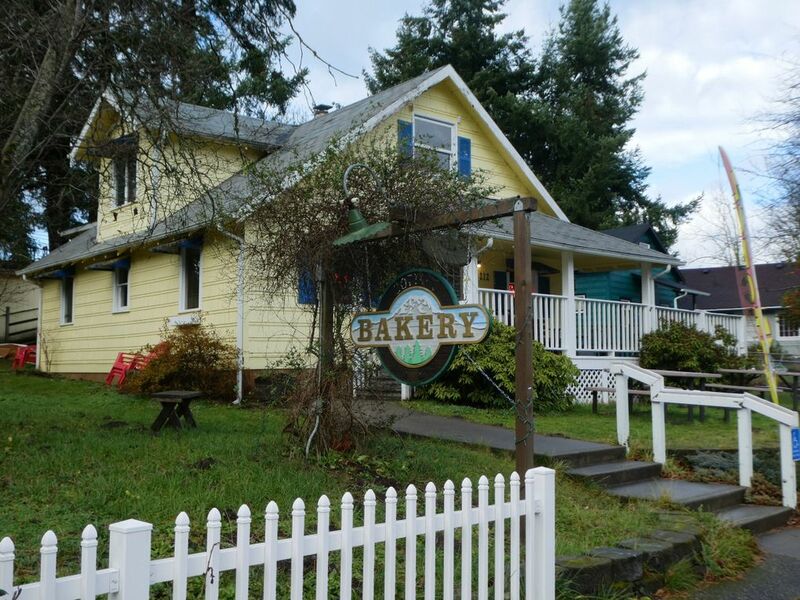 Best advice: Take the back roads, and visit some of the mom-and-pop businesses in the mountain towns of Eatonville, Elbe and Ashford, all in Pierce County. Picking up Highway 167 and Highway 161 south, the mountain comes into view in Eatonville, where hot coffee and fresh pastries await at the Cottage Bakery & Cafe (cottage-bakerycafe.com). Laurie Tartaglia and her mother, Alicia Nelson, keep a glass case filled with homemade scones, bear claws and giant cookies popular with the local school kids. “Ninety-five percent of the tourists coming through grab a coffee and a pastry or a lunch and head to the mountain,” says Nelson. Locals tend to linger inside the cozy yellow house, decorated like a mountain cabin, with wooden tables and soft lighting. Fourteen miles from the park’s Nisqually entrance on Highway 706 in Ashford is Dan Klennert’s Recycled Spirits of Iron (danielklennert.com). 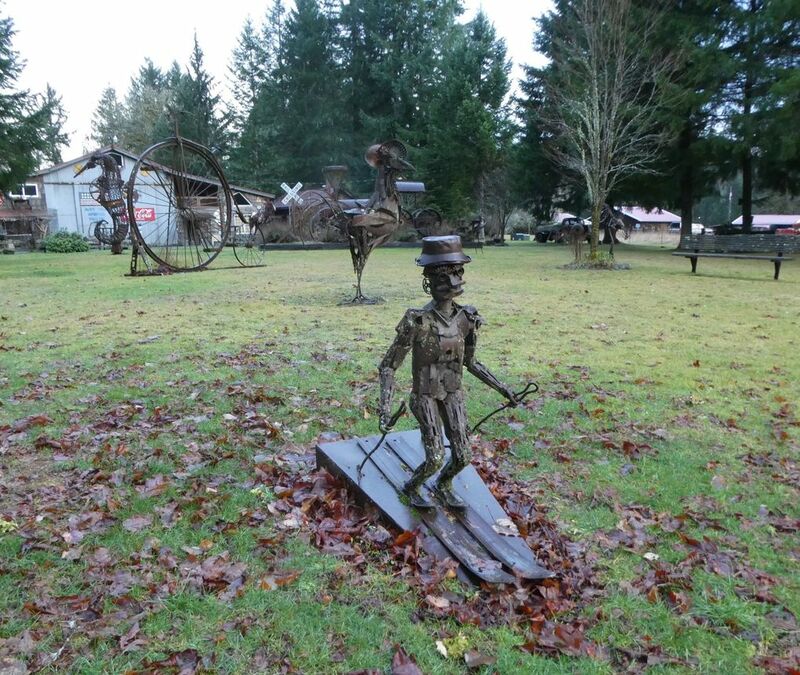 Klennert keeps his parking-lot gate closed in winter, but welcomes visitors to enter through an archway and explore his outdoor sculpture park filled with life-size figures of animals and other objects fashioned from old machinery and scrap metal. One of my favorites is a skier Klennert crafted using old car bumpers for the skis, a milk-can lid for the hat and water-faucet handles for the ears. There’s no charge, but Klennert accepts donations. Six miles from the park entrance is the Ashford Creek Gallery (ashfordcreekgallery.com) where owners Jana Gardiner and Rick Johnson sell pottery, cards, candles, glass and watercolors made by a dozen local artists. There’s a small library of used books on local history, mountaineering and nature for sale, and an upstairs museum filled with a historical collection of paintings and prints by Northwest artists. The highway dead-ends at the Nisqually entrance to the park. From there, it’s an easy 6-mile drive to Longmire (elevation 2,700 feet), making the National Park Inn a reliable destination year-round. Once the road between Longmire to Paradise opened, we followed the ranger’s recommendation to snowshoe in an area called Barn Flats, a closed road with a pullout for cars and wide, flat trails good for cross-country skiing as well. Later, back at Longmire, we hiked along the Trail of the Shadows, a flat, kid-friendly path where a sign marks the rock-ringed hot springs where visitors once paid $8 per week to bathe and stay at a resort established in 1890 by explorer James Longmire. Renovations over the years have transformed the inn into a rustic mountain lodge with simple but comfortable rooms more affordable during the offseason, when a 50 percent discount kicks in for midweek stays. I found myself grabbing for my phone more than once before remembering that the inn has no Wi-Fi. 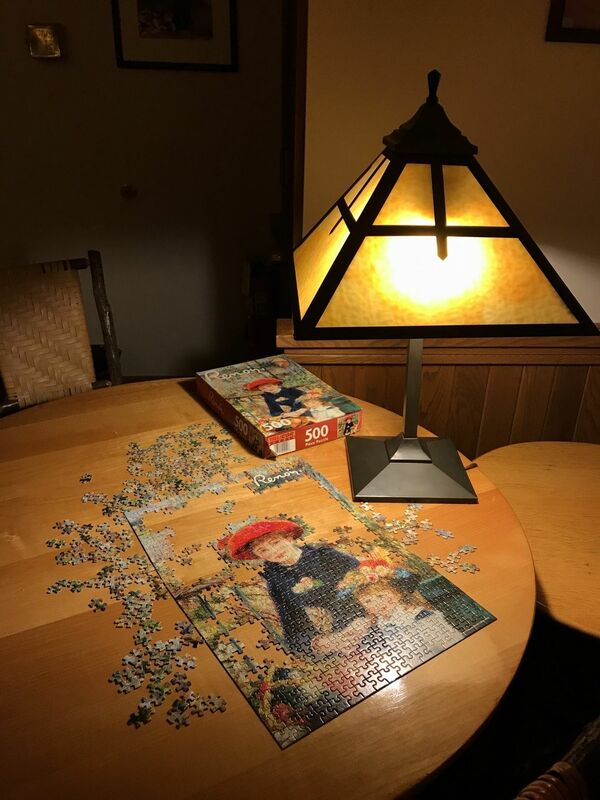 Instead of surfing the web, guests play Candy Land, read or do jigsaw puzzles. For those who must go online, Wi-Fi is available at the Copper Creek Inn (coppercreekinn.com) a cozy roadhouse 2.5 miles from the park entrance, where wild-blackberry pie is always on the menu. See visitrainier.com for general tourist information. Vehicle access into the park in winter is only available through the Nisqually entrance (Sunrise is closed). The road from Longmire to Paradise closes nightly and usually reopens at 9 a.m., although it can open later or remain closed all day due to weather. Call 360-569-2211 for current road conditions, or check @MountRainierNPS on Twitter for updates. The Henry M. Jackson Memorial Visitor Center at Paradise is open Fridays-Sundays from 10 a.m.-4:15 p.m. in winter. 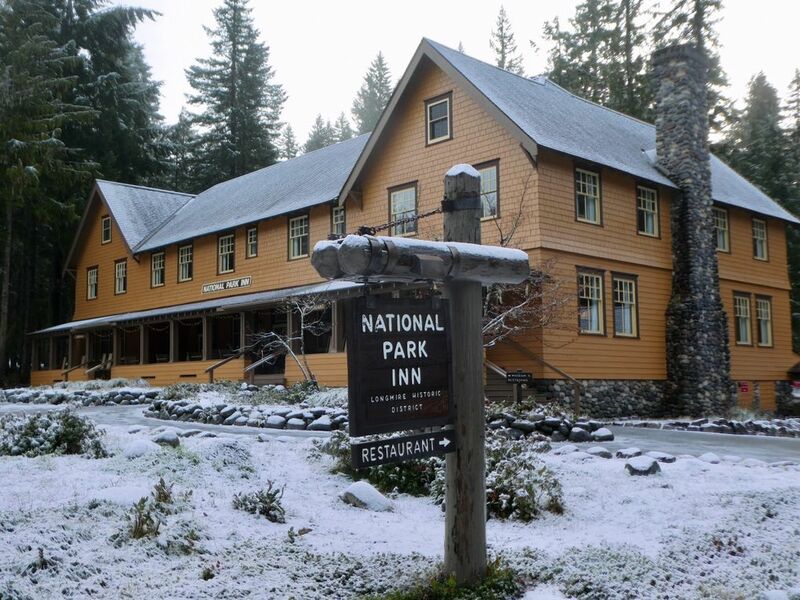 The National Park Inn and restaurant at Longmire is open year-round for lodging, food, gifts and snowshoe rentals. Paradise Inn is closed for the season. The Longmire Museum, open daily from 9 a.m.-4:30 p.m., provides general park information, winter activity guidance and backcountry permits. 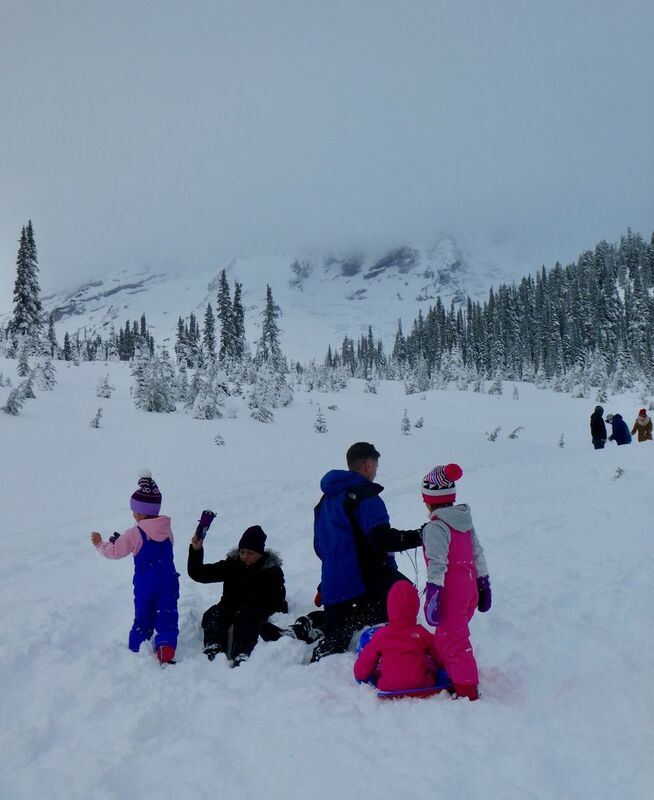 A winter visit to Mount Rainier can include hikes, ranger-guided snowshoe walks, snow play, camping and cross-country skiing. Rangers offer 1.8-mile, two-hour snowshoe walks at 11 a.m. and 1:30 p.m. on Saturdays and Sundays through March. Register one hour in advance (no phone registration) at the Jackson Visitor Center at Paradise. A $5 donation is suggested. Sledding is permitted in designated areas at Paradise, depending on snow conditions. See visitrainier.com/activities/winter-activities/snowshoeing/ for information on show shoe trails and tips. 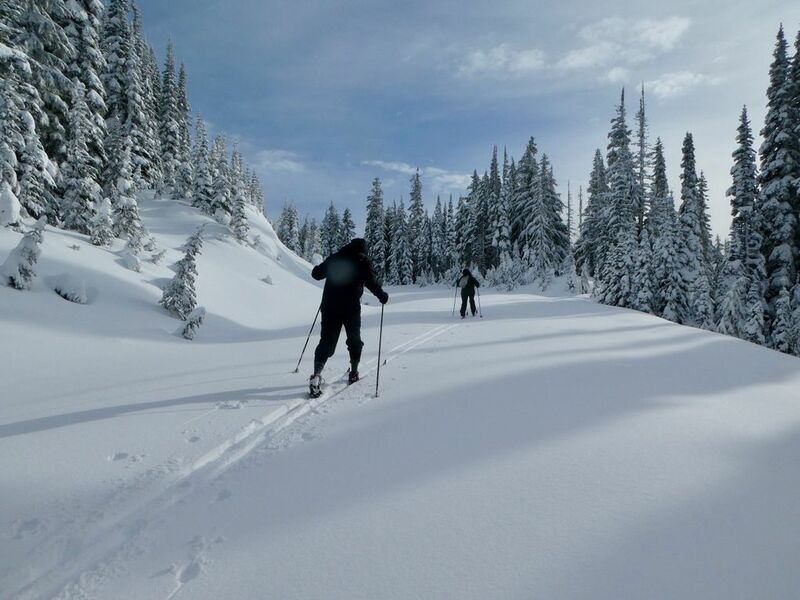 For information of cross-country ski trails, see visitrainier.com/activities/winter-activities/cross-country-skiing/. The 25-room National Park Inn at Longmire has rooms with ($187-$230) and without ($132-$166) private baths. Offseason specials include a 50 percent discount with a two-night minimum stay Sunday-Thursday through April 25, excluding holidays. A “senior saver” package, also good midweek through April 30, includes a 10 percent room discount, breakfast and afternoon tea. Two first-floor rooms are ADA-accessible. See mtrainierguestservices.com. See visitrainier.com or mt-rainier.com for lodging outside the park in cabins, private-home rentals and nearby inns and bed and breakfasts. Whittaker’s Motel and Historic Bunkhouse offers rooms with private baths starting at $70 a night in winter. See whittakersbunkhouse.com. A cozy cafe serves hot drinks, breakfast sandwiches and snacks. Whittaker Mountaineering next door rents snowshoes, skis, snow tubes, tire chains and more. See whittakermountaineering.com.